Looking forward to bringing you VOICES with my Redjett family. 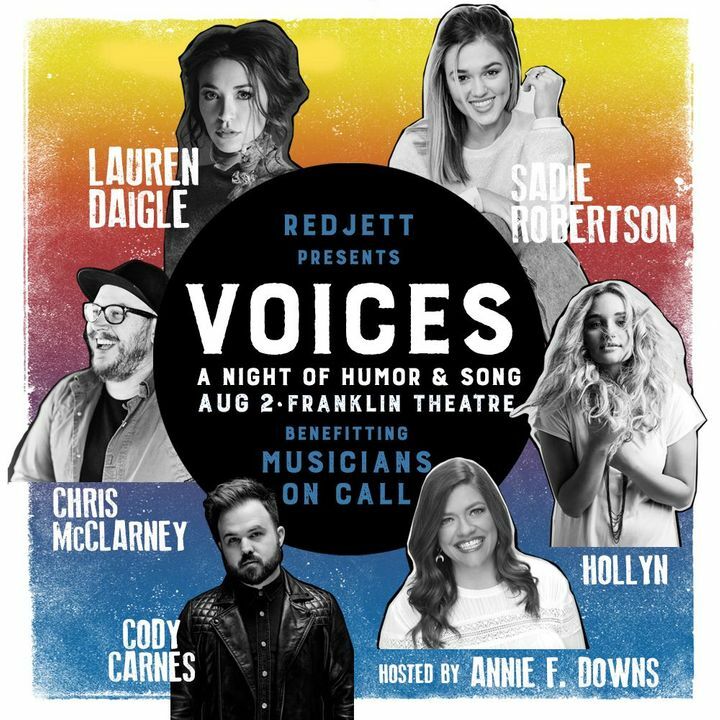 I’ll be performing alongside Lauren Daigle, Sadie Robertson, Cody Carnes and Hollyn for a one-of-a-kind benefit for Musicians On Call. Join us August 2 at the Franklin Theatre in Franklin, TN!